The contrast couldn’t be greater. Our lectionary reading from Genesis 10:32-11:9 bypasses the genealogy of nations in chapter 10 and brings us to the construction at Babel. The reading from Isaiah 28:14-22 confronts us with God’s building project. The two buildings are in the sharpest possible contrast – at least in biblical terms – but they also represent two sharply opposed covenants. And the Bible is a book of covenants. We have already seen God’s covenant with Noah, and with Cain prior to that. Every myth of origins has to have an explanation for the existence of races, nations and languages. Genesis is no exception. The three sons of Noah – Ham, Shem and Japheth – are described as the original fathers of nations and races which spread outward to populate the earth after the flood (10:32). One of the grandsons of Ham was Nimrod: “he was the first on earth to become a mighty warrior. He was a mighty hunter before the Lord; “therefore it is said, “Like Nimrod a mighty hunter before the Lord.” The beginning of his kingdom was Babel, Erech, and Accad, all of them in the land of Shinar. From that land he went into Assyria, and built Nineveh, Rehoboth-ir, Calah, and Resen between Nineveh and Calah; that is the great city” (Genesis 10:8-12). So Nimrod, besides being “the first to become a mighty warrior,” was also associated with the rise of cities. 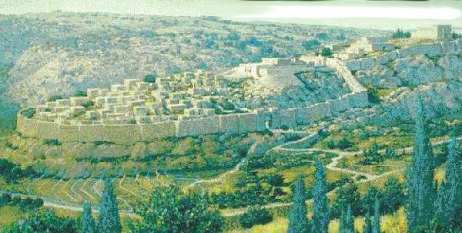 Babel was part of Nimrod’s kingdom, and Babel became the first overt sign of human rebellion against God. There was rebellion in the garden and there was worldwide human sin that brought about the flood, but Babel represents rebellion in the modern sense. If the story were not myth it could be read as yesterday’s headlines. But that’s precisely why myth is so important to humans. We are mythopoeic creatures. Myths very often tell us more about who we are and why we are than yesterday’s headlines. The Bible, like it or not, reveals the heart of God, with all its confusing and confounding aspects, and the hearts of men. 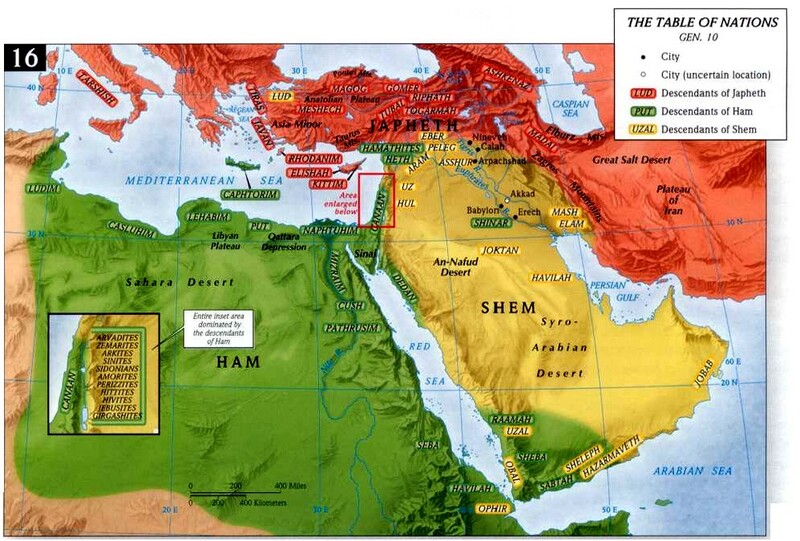 The rebellion takes place in the plain of Shinar, otherwise known as Mesopotamia, or today’s Iraq. 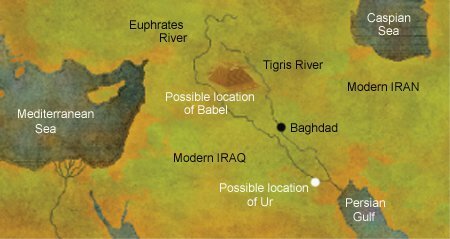 Babel is clearly meant to be Babylon (or what would eventually be called Babylon). The rebellion was expressed in these words: “Come, let us build ourselves a city, and a tower with its top in the heavens, and let us make a name for ourselves; otherwise we shall be scattered abroad upon the face of the whole earth.” This was the secular version of the fall in Eden. There, the goal was to become like God (Genesis 3:5). Here the goal is to reach the heavens and become renowned. It’s an act of hubris – and we know that pride comes before the fall. God for reasons of his own refuses to accept this act of human overreach. God’s dialogue with himself or with the heavenly hosts is surprising: “Look, they are one people, and they have all one language; and this is only the beginning of what they will do; nothing that they propose to do will now be impossible for them. Come, let us go down, and confuse their language there, so that they will not understand one another’s speech” (Gen 11:6-7). Was God threatened? In the anthropomorphic language of myth, that is how it reads. But there is a broader vantage point at play here, and Isaiah helps us understand. When we turn to the reading from Isaiah things become clearer. Despite the complex circumstances under which the various Bible texts were composed by different authors at widely different times – despite all that, the Scripture usually does manage to interpret Scripture! I’m not a fundamentalist, nor do I believe in such evangelical doctrines as inerrancy of Scripture – but somehow, just as in the messy history of the church, God’s guiding hand is present in most of the scriptures. So it is when we read today Babel on the one hand and the “foundation stone” on the other. 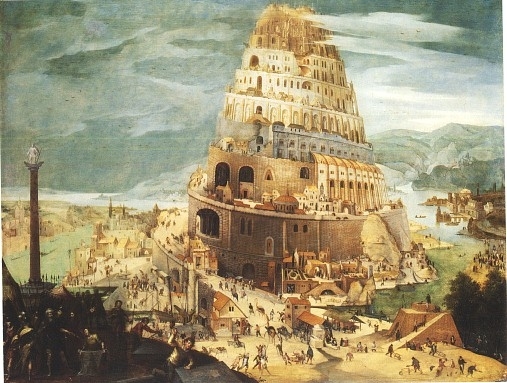 The difference is that Babel was built by human hands as an expression of human hubris. 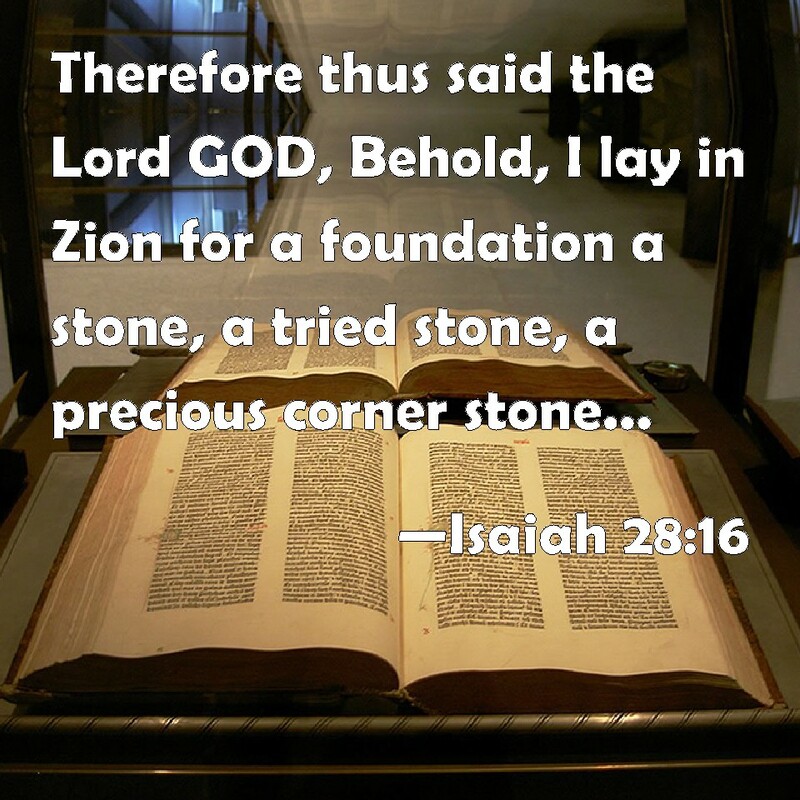 The “foundation stone” in Isaiah 28:16 is laid by God, “a tested stone, a precious cornerstone, a sure foundation.” This is God’s city, mount Zion – not just a political entity, not just another city for human residence and commerce; God, the architect of the city, “will make justice the line, and righteousness the plummet” (28:17). But the difference between hubris on the one hand and justice and righteousness on the other is only part of the contrast – because the two cities represent two covenants. When humans build a city and its skyscrapers, the covenant is with political and economic power. When God builds a city, the covenant is with life; life abundant, not for some but for all. “For there the Lord has commanded the blessing, life for evermore!” (Psalm 133:3) We chant this psalm, together with all the Psalms of Ascent, at every Liturgy of Pre-Sanctified Gifts during Lent. “Behold, how good and pleasant it is when brothers dwell in unity” is how Psalm 133 begins, and it describes the purpose of God’s city and why it is a city of justice and righteousness. This is the Bible’s vision for the city of man – not the Babel of Genesis or the Babels of today that rise higher and higher in their aim to enrich the rich and impoverish the poor. This is why God destroys Babel. In the Genesis myth the destruction of the tower, and the confusion of language and scattering of people that resulted, formed the mythical explanation for the existence of nations, races and languages. But Isaiah tells us that there is a deeper meaning without even referring to Babel. who rule this people in Jerusalem. the watchman stays awake in vain. This is not to deny human creativity and human independence and free will. But it is a judgment on human society that does not respect the freedom and worth of every single individual. It is a judgment on every city that aims for the sky in profits and display of wealth. Is it New York with its hundreds of towers of Babel? Or, is it Portland, Maine, without any tower of Babel? Because it’s really not about the height of buildings. It’s about whether our eyes and ambitions are too high to see the homeless and the hungry and the undocumented worker in our midst. Does my city – any city – sign a “covenant with death” or a covenant with life? As a Christian I also read Isaiah with Jesus Christ in mind. 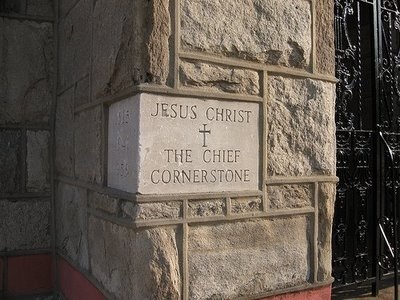 Ephesians 2:20 tells me that Jesus Christ is the cornerstone of God’s building, which now is the church, in the new covenant between God and humanity. It’s always about covenants; and it’s always the choice between death and life. Jesus came that we may have life and have it abundantly (John 10:10). It’s the choice between Babel and God’s mountain, Zion – not Zion the political entity (which makes it Babel), but the Zion of Isaiah’s dream. Categories: Lenten Reflections | Tags: Babel, cornerstone, covenant, human hubris, judgment on cities, Nimrod, origin of languages, origin of nations, Zion | Permalink.